A report by the Jerusalem International Foundation reviewed tens of facts regarding the Israeli occupation’s Judaization practices in Jerusalem since the occupation of its eastern part 50 years ago. The report, issued recently by the research and information department of the foundation, titled "50 shocking facts about the reality of Judaization in Jerusalem", stated that the occupation of Palestine (and Jerusalem in particular) is one of the most dangerous types of colonialism that human history has known in recent times, with its violations of the international laws and resolutions, and its practices of the most horrible forms of Judaization and forgery of history. 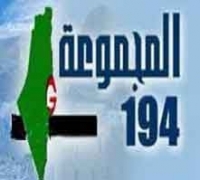 The report said that since the occupation of the western part of Jerusalem in 1948, the Israeli occupation continued to Judaize the city on the religious, cultural, and demographic levels, and persisted in fabricating a false historical narrative to change the identity of the place, by exploiting all means of pressure from siege and incursions, to the settlement expansion and house demolitions, to prosecuting civil society organizations and denying property ownership to Palestinians…etc. Amongst the 50 facts that were reviewed by the Jerusalem Foundation on the Judaization of the Holy City, is the process of controlling the largest amount of lands while expelling the largest possible number of the native population. The Israeli strategy has three pillars: the expulsion of the natives, then population replacement with Jewish settlers and last, changing the identity of the place. The report added that in the context of Judaization, the Israeli occupation authority seeks to achieve several goals, foremost of which is the provision of a security belt around Jerusalem, and the preservation of important military sites in the city’s vicinity, besides finding new ways and paths for the settlers, and creating settlements contiguity. In addition to obstructing the natural growth of the Arab population while increasing the Jewish presence, and isolating the city from its Palestinian surroundings and above all, strengthening its status as the capital of Israel. The report stated that Israel is relentlessly attempting to impose its sovereignty on Al-Aqsa Mosque and to allocate times for Jewish incursions; it also systematically isolated the defense elements of the Mosque after outlawing the Islamic movement and the Ribat (sit-in) in al-Aqsa, in preparation to divide the mosque spatially and temporally. The report pointed to several Jewish organizations that jointly worked on targeting Al-Aqsa, as it pointed to how Jewish holidays have been made into seasons to desecrate the Mosque by all segments of the Israeli society; politicians, settlers, students and security personnel, besides the accompanying attacks on the Mosque’s guards and worshipers and keeping them away, even during the last days of Ramadan, in order to impose a new fait accompli on the Islamic site. The report pointed to the continued obstruction of the work of the Islamic Waqf and the prevention of restoration work in Al-Aqsa, in addition to the enactment of laws and judicial decisions that strengthen the sovereignty of the occupation on the city and change its status quo. In addition to what is happening in Al-Aqsa, the report pointed to Israel’s continued establishment of a Jewish city under the Old City of Jerusalem and its vicinity. The report referred to continued attempts to connect the underground excavations to each other and set up underground facilities in order to promote faked history, pointing to the existence of more than 63 excavations until the end of 2016. The report also pointed to the establishment of dozens of settlement units in the vicinity of Al-Aqsa and inside Jerusalem, while building restrictions on the Palestinians and house demolitions are on the rise, pointing to the demolition of 1,396 Palestinian homes between 2000 and 2016, while allowing settler associations to seize and confiscate Palestinian properties. The report also addresses the Israeli policy of revoking ID cards and residency from Jerusalemites, depriving them of the most basic human rights under various pretexts, and even persecuting them with all kinds of violence, such as detention, deportation, house arrest and travel ban. 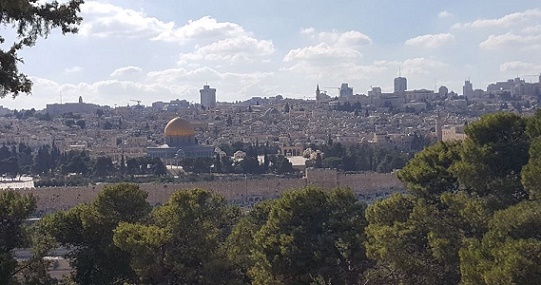 The persecution against Palestinians in Jerusalem is not limited to Muslims; it also affects Christians, other than targeting the curriculums, and the educational health and private sectors, according to the report. 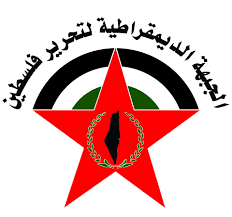 As for the economic aspect, the report addressed the Israeli battle against Jerusalemites on their sources of livelihood, as well as the high unemployment rate that has reached 31%, while the percentage of families below the poverty line about 76%. The report pointed to the increase in the number of settlers in Arab neighborhoods by 40% and the construction of settlement outposts in East Jerusalem by about 39%, emphasizing the high incidence of land grabs to the extent that the Jerusalemites only have 13% of the land to build on. The report concludes by pointing to the huge funds allocated by Israel to Judaize the city through systematic schemes.